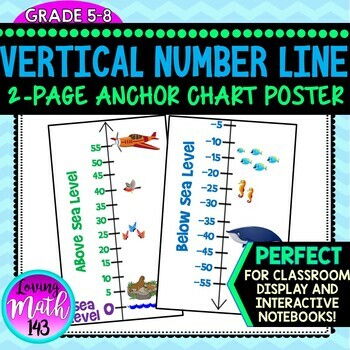 This anchor chart poster is 2-page number line that is a great tool to display in your classroom. Students will become familiar with a vertical number line and positive and negative numbers on the number line. This also indicates "sea level, above sea level, and below sea level. It is an important concept for 6th grade common core standards. 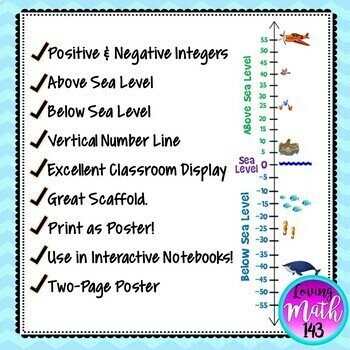 This anchor chart can be printed on a regular 8.5 x 11 inch printing paper and placed in student notebooks, (since it is 2 pages it may need to be a foldable) or printed as a half-page making an excellent resource for students interactive notebook. 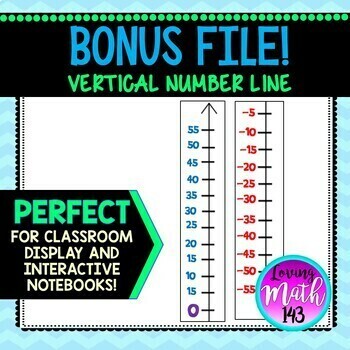 ★ A Vertical Number Line with positive and negative integers.